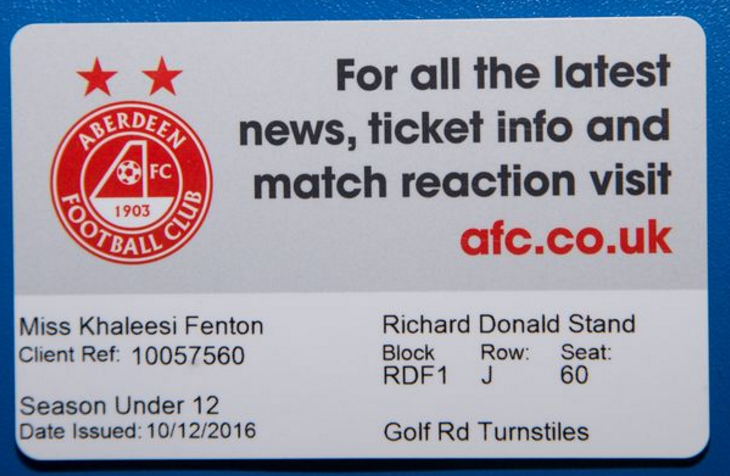 A Dons fan has broken his own record for having the youngest child with a season ticket at Pittodrie. North-east man Shane Fenton bought his daughter Khaleesi her first season ticket just under five hours after she was born on Saturday morning. 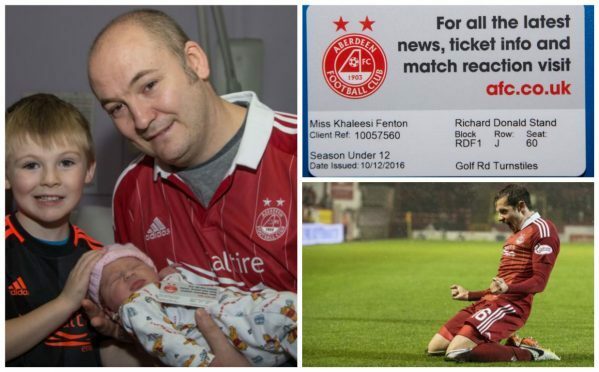 By buying his daughter at season ticket at 9.15am, four hours and 34 minutes after her birth at 4.41am, it beats the record previously held by her elder brother Riddick – who became the youngest SPL season ticket holder at just two days old in 2012. Shane, 37, and partner Kim, 27, first met at an Aberdeen match and say the season tickets are the perfect welcome to the world for their newborn children. The pair, who live in Boddam, travel all over the country to watch Derek McInnes’ men. Shane even made it to watch the Dons draw 0-0 with St Johnstone on Saturday just hours after Kim gave birth. Kim and Khaleesi are doing well in Aberdeen hospital’s maternity unit.